Add the Batman Extreme adventure to any of our Mobile Video Game Truck parties or events! Video Games – Virtual Reality – Plus Batman Extreme! Parents want only the best for their children. As parents, we understand your need to balance the BEST party available with a party that is convenient, easy and affordable. *Plus any applicable Travel Surcharge. Please see our Service Area before scheduling. Our 2-person Batman Xtreme is sure to thrill all who dare to ride this awesome attraction. Batman Extreme safely tosses, turns, and spins riders and leaves them smiling. Riders do not experience motion sickness because the spinning changes direction and keeps each rider’s inner ears balanced. The Batman Extreme is Crazy, Exciting & Fun. 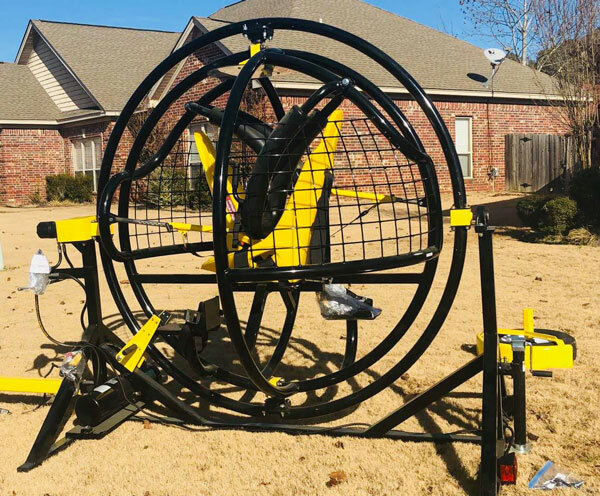 The Batman Extreme is a wonderful addition to birthday parties, schools or civic events.and coming back for more! 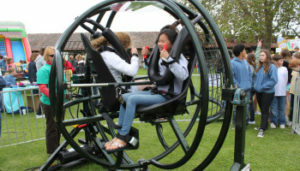 This attraction is similar to models used by NASA and the U.S. Air Force to simulate the experience of weightlessness, along with the roll and tumble associated with outer space flights. Our incredible gaming station is the ultimate in mobile video game party entertainment and is guaranteed to become the life of every party we bring it to! Our 32-foot, climate-controlled mobile video game station on wheels is sure to impress! Our amazing mobile video game theater combines all of that in a sleek, modern, state-of-the-art game truck that comes right to you! Thanks for visiting us at Mobile Video Game Stations. We look forward to serving your party and event entertainment needs today, tomorrow and in the years to come. 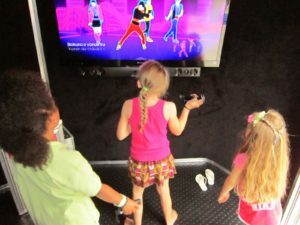 Mobile Video Game Station brings the Best Video Game birthday party right to your driveway, backyard, office or school!